You need to create a row of excellence, by allowing only similar precious stones to fall on your foundation. 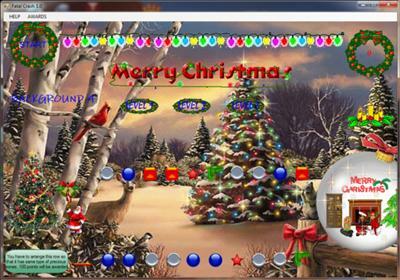 You will have to remove the unwanted stones by clicking them, every click offers you 2 points, when you accomplish making the row of excellence, you are awarded with 100 points, and if you earned enough points you get a precious gift. You are the master, you will choose the type of stones you want to build your row of excellence. 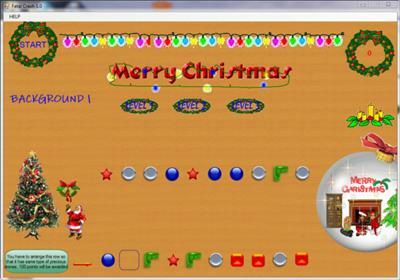 The game has been created to support christmas duration, it has a lot of christmas melodies to entertain the player. 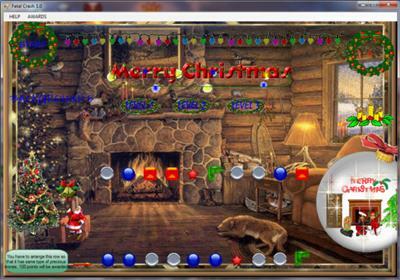 You need to click on the christmas decoration to switch into another melody. 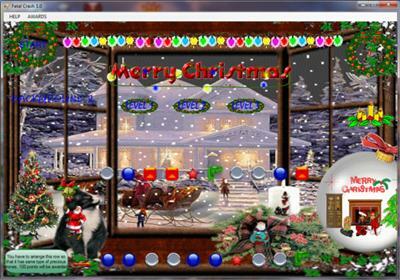 Almost every decoration has it's own melody. You are the one choosing the environment, there are a lot of backgrounds to opt for.